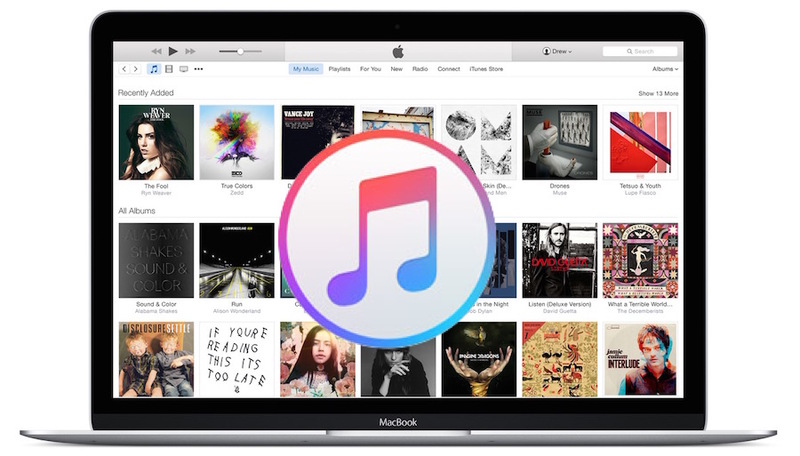 iTunes 12.2 is available to download for Mac OS X and Windows users. The update predominately focuses on the inclusion of the Apple Music service and the Beats 1 Radio station, and arrives separately from the freshly released OS X Yosemite 10.10.4 update and iOS 8.4. Mac users can immediately download the iTunes 12.2 update by going through the software update mechanism in OS X, accessible from the  Apple menu > App Store > Updates tab. Refreshing the Updates section will reveal the iTunes 12.2 download. Windows and Mac users can also find the update available through iTunes itself, as well as the iTunes website on Apple.com here. While iOS 8.4 includes the Apple Music service, the recent OS X 10.10.4 update does not without the new version of iTunes. Introducing Apple Music – all the ways you love music, all in one place. Apple Music includes a revolutionary music service, the all-new Beats 1 live radio, and an exciting new way for fans to connect to their favorite artists. For You. Get playlist and album recommendations you’ll love, selected just for you based on your musical tastes. The more you listen, the better For You gets. New. Discover the best new music, handpicked by our music editors. Explore mixes created just for activities like exercising, or find great handcrafted playlists in a wide variety of genres. With Apple Music, you’ll always have the perfect soundtrack for any occasion. Connect. A single place to connect with your favorite artists. See thoughts, photos, music, and videos shared from your favorite artists. You can comment on or love anything an artist has posted, and the artist can respond to you directly. Beats 1. Tune in to Beats 1, broadcast live from cities around the globe. Enjoy music, interviews, exclusive radio shows, and the best of what’s going on in the world of music. Beats 1 — worldwide and always on. Apple Music Radio. Radio has been completely redesigned. Play from Featured Stations, where our music experts hand select every song you hear. Or, start a new station from any artist or song. In addition, it’s now easy to quickly return to your favorite stations with Recently Played. My Music. Find all your music in one place, including iTunes purchases, music you’ve imported from CD, and now songs from Apple Music. iTunes Store. The iTunes Store is still the best place to buy your favorite music — one song or album at a time. Beats 1 Radio is terrible music, all rap hip hop pop garbage. Not sure who Apple is targeting with this service, teenagers with their parents credit cards I guess. Bad is it. Ill skip this update. I managed to download 10.10.4 without the iTunes update. Ill wait until Apple trashes beats 1 before I update again. I can’t seem to update to 12.2. I updated through the app store. Apparently, it didn’t work. The installed version is still showing 12.1.2.27. Yet, my update history in the App Store shows that I installed 12.2 FOUR times. I tried updating through iTunes and it told me an update was available. I hit “Download”. The App Store opened, it checked for updates, and said that no update was available. In short, iTunes is NOT up do date, but the App Store thinks that it is. The download link through the iTunes page on the Apple web site still claims that 12.1.2 is the newest version, so I can’t get it there, either. I hope for an article that guides us (non U.S based users) on how to access beats 1 or how to start a 3 month trial on free U.S Accounts without a credit card..
Love the new radio’s, not so much Beats1 (not my music taste), but a couple of others are great. One strange thing though: playing through AirPlay speakers (active speakers connected to an Airport Expres) switches off for Beats1 and BBC World Service. The other stations have no problem to use my external speakers. Noticed that as well … not sure if that is a bug or if it was designed that way, don’t understand why that would be done like that intentionally. Audiobooks are in iBooks now. Love the player interface for audiobooks in iBooks. If all this does is add Apple Music and Beats 1, then I don’t think I’ll bother, as I have zero interest in those. And of course as usually the radio does not work in the UK. If its not going to work apple then don’t push the update to non USA users, I’m sure the’re not that stupid they can’t sort out regional updates. After Apple did wipe out 20 percent of my Aperture image library, 98 percent of my households wifi modem capacity and made my ten thousand dollars Mac Pro into nothing but a spinning beach ball I am not sure it will be wise to add iTunes 12 which are said to erase or spoil most of my music library. Apple is not what it used to be – not at all – it’s a very sad story for you and me. Updated to itunes 12.2.0.145 and now all of my playlists (all 100 of them) have disappeared and all of the content I had previously downloaded to be accessible offline, I am now re-downloading. Has Apple somehow decided to be Microsoft by another name? Purchased songs from Amazon, downloaded them and said to have imported into my iTunes library, but I can’t find them anywhere. This was never an issue until I recently updated to 12.2. Any ideas as to why the files aren’t importing successfully? idk why but i cannot work with apple tools, but they are great of course.